My Beautiful Cousin was named after this Beautiful Song. Her father, my Beautiful Uncle, chose it because he liked the lyrics. She and I were born two weeks apart and we lived across the street from each other. For the first 9 years of our lives, we were raised like twins. We’re not even close to “identical cousins” but we were definitely a “… pair of matching bookends.” We shared wardrobes, birthday parties, and most weekends a (slightly damp) trundle bed. We were thick as thieves so naturally we fought like feral cats. She moved to California when we were 9 (joint custody stuff) and that ended the twinning and the fighting but we are still close. 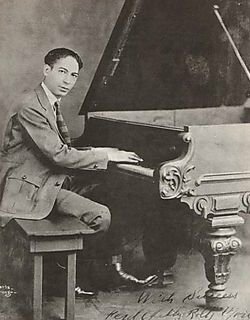 In 1905 Ferdinand Joseph LaMothe aka Jelly Roll Morton wrote “The Jelly Roll Blues” and in 1915 it became the first jazz song ever published. Over the next century some absolutely amazing things happened in the world of jazz. All of which, one year ago today, led to me having something to write about in this blog! At the beginning of that first post I explained that I wanted to share some of awesome tunes culled from conversations and then, get this, at the bottom of the page I typed absolutely nothing! Can you believe it?? I continued to say nothing for three full days before I started turning this into the “Me Show” that we all know and love. It was a full three weeks before the transformation was complete. I don’t know about you but I call that remarkable restraint for an ego the size of mine! Let’s swing it into year two with Sir Duke! I think nicknames were compulsory back in the early days of jazz. Thankfully the internet provided explanations for names this time so I could give my fevered imagination a rest. Dizzy got his because of his onstage antics. Bird told a friend his nickname came from his love of chicken. They called chicken “yardbird” back then because, apparently, nicknames for dinner were compulsory too. Charlie “Bird” Parker was brilliant and, like many geniuses, left us too soon. The internet says there aren’t many live performances by him on film but You Tube has a few. I chose this one with pre-bent trumpet Dizzy Gillespie because I love them both. It’s from 1951 and the tune they’re playing is called “Hot House.” Apparently the two men were not friends. All accounts indicate that Charlie’s addiction did not make him very pleasant company. Luckily, for these two men, friendship was not a prerequisite for great music. Back in the late 90’s when I lived in California I drove a 1978 Dodge. It didn’t have a rag top but a couple of the windows sorta worked. When the wind blew just right, I could actually detect the aroma of springtime orange blossoms over the scent of burning motor oil. To this day the smell of imminent engine failure makes me pine for my San Fernando Valley home.